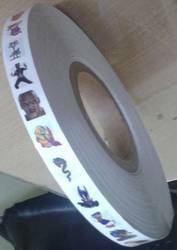 We offer high quality of Rubber Tattoo For Palm. Certified lab test EN71 approved , safe for the skin . A temporary tattoo is an image on the skin resembling a true tattoo, but is non-permanent. Temporary tattoos can be drawn, painted, or airbrushed, as a form of body painting, but most of the time these tattoos are transferred to the skin. 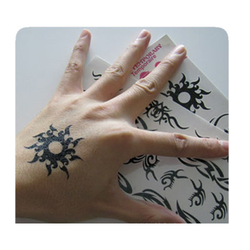 Temporary tattoos of any kind are used for numerous purposes including self-expression, identification, and advertising. Temporary tattoos are not permanent but resembles a real “tattoo . Its actually known as airbrush tattoos. It lasts for maximum seven days. People generally gets it done for special occasion. Starting from the kids aging three years to any age can go for it.